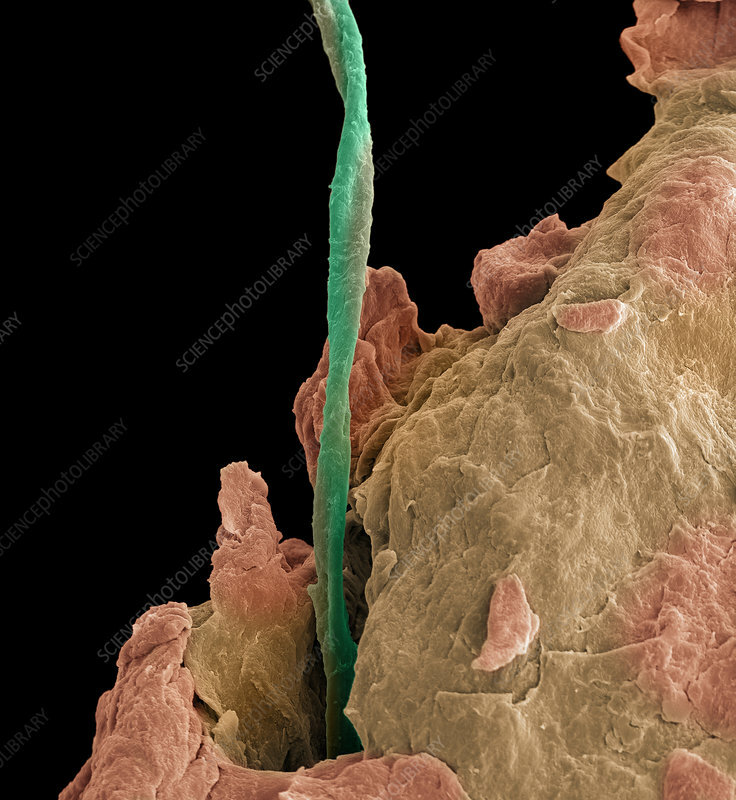 Colour enhanced SEM image of Athlete's foot. The field of view of this image is.2 mm or 200 um. Athlete's foot, known medically as tinea pedis, is a common skin infection of the feet caused by fungus. Signs and symptoms often include itching, scaling, and redness. Athlete's foot fungus often grows between the toes. It is a member of the group of diseases known as tinea.